Lovely elegant just-ripe blackcurrant fruits with cigar box and cedar wood, finishing with some well-judged tannins. So much better than most Bordeaux at this price. Perfect with a dinner party roast of lamb, beef, or pork. 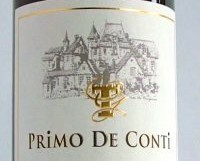 Luc de Conti and his family have been producing excellent wines, both red and white for many years, under the Tour des Gendres label. Based in Bergerac, right beside Bordeaux, they use similar grape varieties, grown biodynamically. Their wines over-deliver every time. This is a cuvée produced for Marks & Spencer.